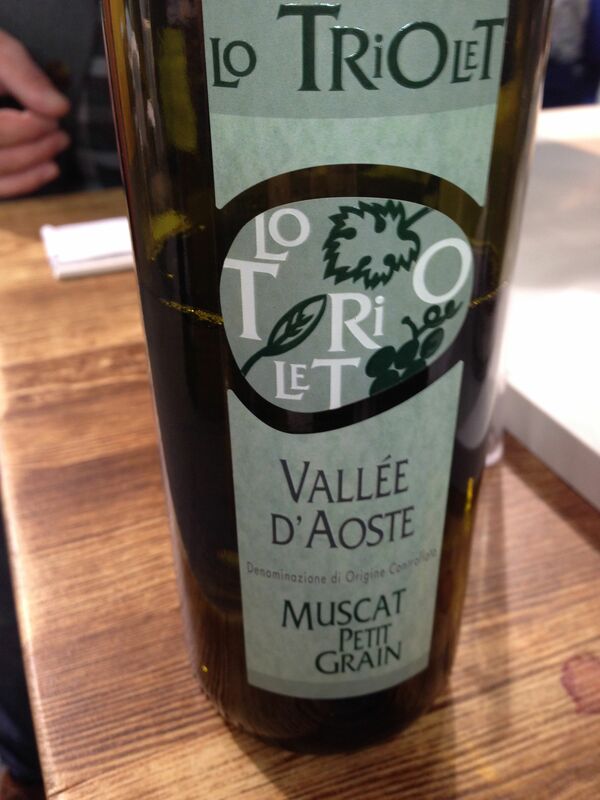 Lo Triolet is a winery from the Valle d’Aosta that I discovered on my last trip to Vinitaly thanks to some friends from the Italian Sommelier Association. I like tasting with others from this group because their approach is very different from the one used in either the US or the UK. Often, they also know many smaller producers from various regions that I wouldn’t have access to from my home in New York City. Lo Triolet is a perfect example of this. A winery from a town in the Valle d’Aosta called Introd, it is owned by Marco Martin. Martin decided to plant Pinot Gris at an altitude of 900 meters above sea level. From the first vines he planted additional ones and now has 5 hectares planted from 600 to 900 meters above sea level. The soil is sandy, interestingly enough and is what is known as a moraine or the remains of an ancient glacier. Thanks to this past the soil has many minerals. The wines that he produces show this particular terroir and have significant sapidity and minerality. Martin believes in integrated pest management and uses organic materials for fertilizer. 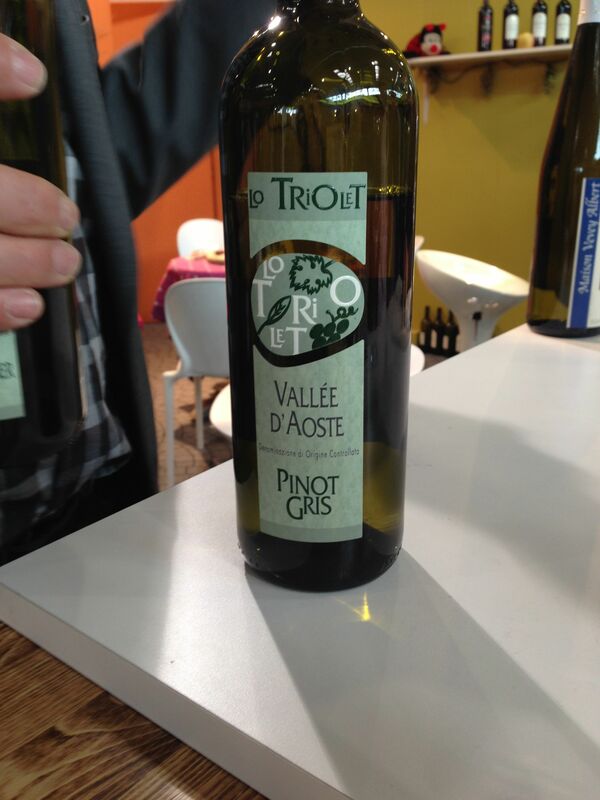 The Pinot Gris was the stand out for me of the wines that I tried although his Muscat was also interesting. He also produces a host of wines made from indigenous varietals such as Fumin and Nus.